Hammonton USA (Hammonton United Service Associations) has proven in the past that it has what it takes to raise significant funds for major projects that help the community. After a 10 year hiatus, Hammonton USA is working together again. Just like in its first charity event in 2003, they are benefitting youth sports. 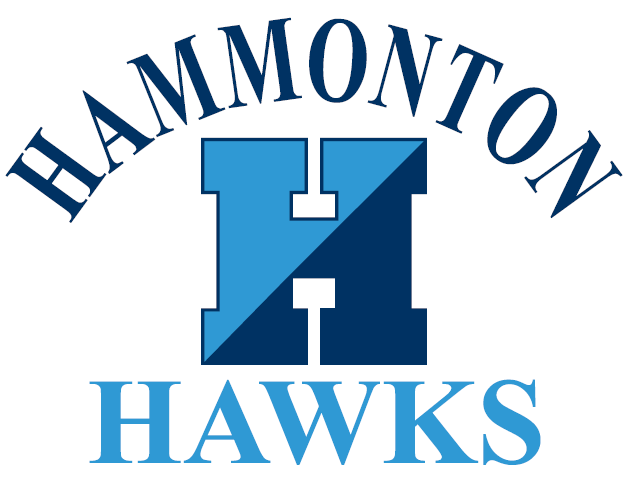 This year the fundraiser is for the Hammonton Hawks to help them in their costs for the relocation of their home games from Hammonton Lake Park to William T. Capella Field on the grounds of the Hammonton Middle School. William T. Capella Football Field holds a special place for anyone who is a student of football in Hammonton. It has been the scene of some of the greatest games in this town's sports history. In the past it was home to the Hammonton Blue Devils, St. Joe Wildcats and the Hammonton Hawks. It is in essence a homecoming for the Hammonton Hawks organization. The support of Hammonton USA was sought to help towards raising funds for the building of a new press box and cooking equipment for the concession stand. They are also looking towards the purchase of a scoreboard. Hammonton USA, whose motto is "Together, Serving the Community", was formed on October 8, 2002 because of the need for the Hammonton Little League to raise funds for an indoor batting cage. Joe Brown from the Hammonton Rotary Club was the driving force behind the project. He brought several Hammonton service organizations together and it became a huge success year after year. 2006, Hammonton USA took a year off due to the devastation caused by Hurricane Katrina in Louisiana, Alabama, and Florida. Member organizations were dedicating their efforts on their individual club relief efforts. 2007- Hammonton Education Foundation- $28,000 for the foundation's "Books Build Bridges" program which benefited the three Hammonton Public School libraries and two Saint Joseph School libraries. Exchange Club, Kiwanis Club, Lions Club, Rotary Club, Puerto Rican Civic Association, Soroptimists, Women's Civic Club, Our Lady of Mt. Carmel Society, Sons of Italy, Hammonton Hawks and the Blue & White Gridiron Club. Come join us for a terrific Saturday night out. It's a great experience seeing Hammonton's service clubs working together. It's casual. Jeans are welcome. It's a great night to come out, have some fun, and spend money for a good cause. The Hammonton USA Charity Event will be held on Saturday, April 22nd. It will be a Pork 'n' Beer with music, dancing, chance auction and a 50/50. The event will be at Kerri Brooke Caterers from 6pm-10pm. Doors will open at 6 p.m. for auction preview of prizes and gifts. Dinner will begin at 7:30pm with music and dancing to follow. Tickets are $35 per person and are on sale now. You must be 21 years old to attend. There is a minimum of 10 named buyers needed for table reservations. For more information or tickets call Joe Brown at 743-5649. I cannot express my appreciation enough to people of Hammonton who support us. We have received promises of support from many businesses and organizations. We greatly appreciate the generosity of the people and businesses in Hammonton that came forth and gave. I cannot tell you how much we treasure our great community. We are eager to continue our efforts in helping our own community. I look forward to your support for our 2017 HUSA Charity Event. The idea for creating Hammonton USA arose from a need for the Hammonton Little League to raise funds to construct an indoor training facility at Hammonton Lake Park. The training facility will house batting cages and pitching areas to be used for indoor clinics to teach hitting and pitching skills to boys and girls. HUSA was formed on October 8th, 2002. Joe Brown was the driving force behind the project. His leadership in bringing eight Hammonton service organizations to benefit this project spelled overwhelming success for everyone. Today the club has grown to 11 service organizations united.